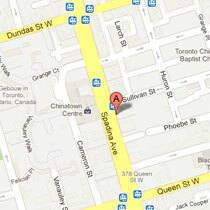 DrupalCamp Toronto was held last weekend at the University of Toronto, and it went really well. The Drupal Users Group of Toronto pulled it together for the third year in a row, and it keeps getting better each year. I worked with Joe Murray and Mike Gifford to run a session entitled “Online Advocacy – What it is, what’s out there, what’s working, what needs work” which I will admit is a long title. 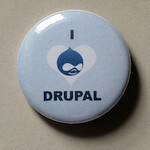 The idea for this session was to present the perspective of people working in online activism to Drupal developers. While I don’t believe that online activism is primarily a technological challenge, I do think that the tools can be much improved, especially for Canadian campaigns. 1. Have an attractive website that is easy to update by people without technical knowledge (aka a Content Management System) – Drupal, if properly configured, can meet this requirement. 2. Build online actions – petitions and ‘Contact a decision maker’ to start – that are easy to use, flexible and effective. Drupal can technically do this with a bit of work. 3. Send email updates to a large opt-in list, managing subscribes and unsubscribes, bad addresses, open rates and click throughs. 4. Sort, store and retrieve supporter information with a robust Constituent Relationship Management (CRM) system – Drupal is on the right track with CiviCRM and other packages. Of course, online fundraising and robust volunteer management are nice to have, but I feel like the minimum required for an online campaign are covered above. Canadian campaigns need to be able to function in both English and French, and very few options exist for segmenting lists by Canadian electoral districts, a key in lobbying politicians. Joe, Mike and I have been thinking about and working on these issues for years, and wanted to gauge the interest among Drupalers in solving some of these Canadian-specific technological hurdles. It was a good discussion, with some valuable input and insight from the developers.